Welcome to the Animal Health Centre, the home of friendly, professional, affordable health care for all your pets. Based in Watcombe, Torquay, there is plenty of parking nearby and we are open for consultations, and all sorts of other services, six days a week. With our open surgeries there is no need to book an appointment. Simply bring your pet in during our consulting times to see one of our team of qualified vets. With no appointment system, not only does it mean you don’t need to ring to book in, it also means that we can spend however long we need with each animal that we see. Outside of our consulting hours we offer a 24-hour emergency hotline and we will advise on the appropriate next steps should you need our help. 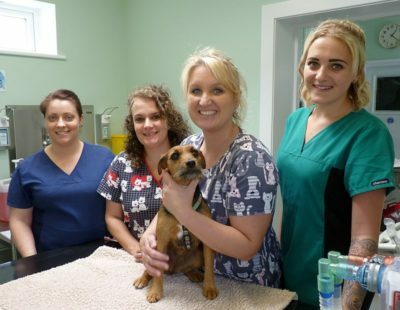 The team at Animal Health Centre is made up of people who love looking after animals. We all know how important a pet is and we look after each animal brought in as if it were our own. The Animal Health Centre is easy to find. We are on a bus route in a prominent position in the centre of Watcombe, Torquay. There is easy on-road parking nearby.